SUPERMODEL is a new programme of contemporary art and music. 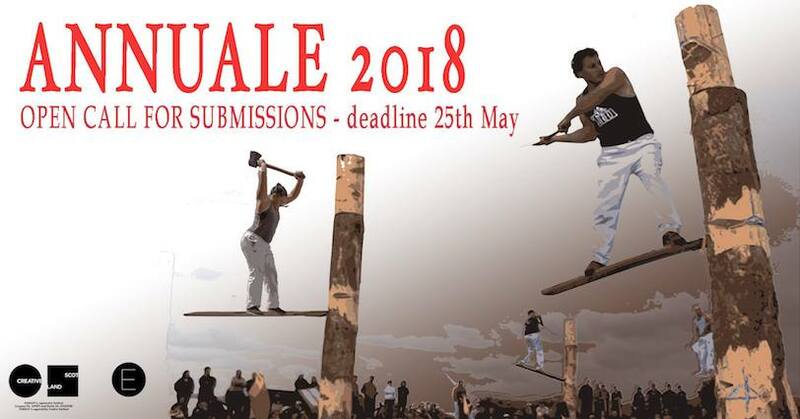 It’s happening in Edinburgh… so you should know about it by now! 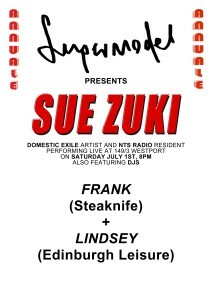 Hosted by Frank (SteaKnife) & Lindsey (Edinburgh Leisure), the evening will feature a live performance by Domestic Exile artist and NTS Radio resident SUE ZUKI. Full line-up of artists TBA.